John Cabot was an Italian and French sailor and a merchant who explored the coast of Canada. He was once thought to have been the first to bear the English flag across the Atlantic. 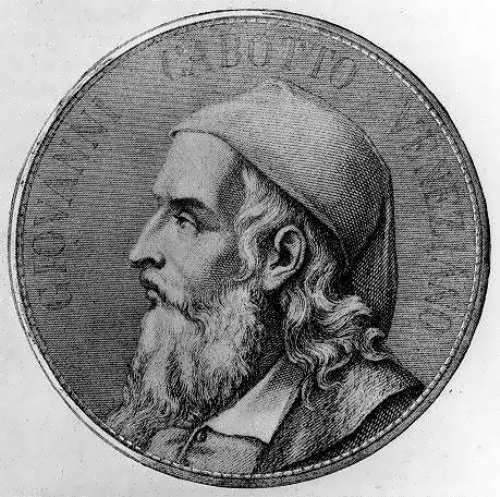 Giovanni Caboto was born in 1450. It is an approximate date of his birth. Although it is possible that he was born a little bit earlier. He was probably born in Genoa. In 1496 Cabot’s contemporary, the Spanish diplomat Pedro de Ayala, mentioned him in one of his letters to Ferdinand and Isabella as a “Genoese Columbus“. It is known that in 1476 Cabot became the citizen of Venice. To get Venetian citizenship he had to live there for 15 years. This means that he and his family moved to Venice in 1461 or earlier. In the middle of 1495 Cabot and his family moved to England. Upon arrival in England, Cabot immediately went to Bristol to find support. All his expeditions started in this port. Sieur de La Salle was a French explorer of North America and colonizer, the first European to sail the Mississippi River and declared it ownership of the French king, under the name of Louisiana. Thanks to his tireless activity France acquired (at least on paper) a vast territory. Several cities and districts in the United States, administrative region of Montreal, the Royal Military Academy in Canada and the brand of cars made from 1927 to 1940 by General Motors were named in honor of La Salle. Rene-Robert Cavelier de La Salle was born on November 22, 1643 in Rouen, France. 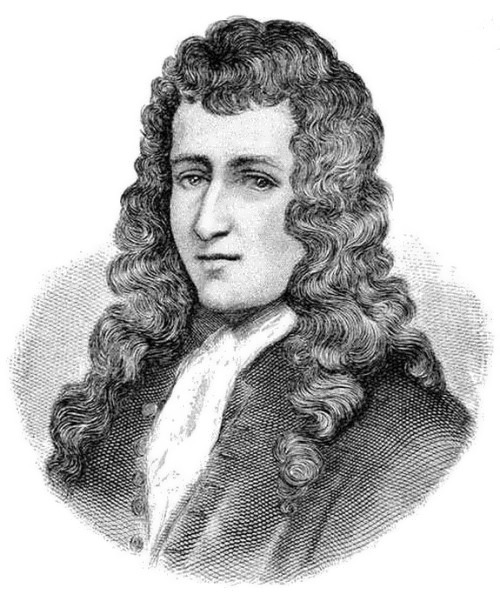 Rene-Robert Cavelier received education at the Jesuit college. At the age of 22 he went to New France where he was granted a plot of land on the island of Montreal. In addition to farming, Cavelier traded for furs. Native Americans told him of a broad river that ran from the Great Lakes region to the sea. This was the Mississippi. In 1669 a Frenchman sold his land and moved to the side of the Ohio River. 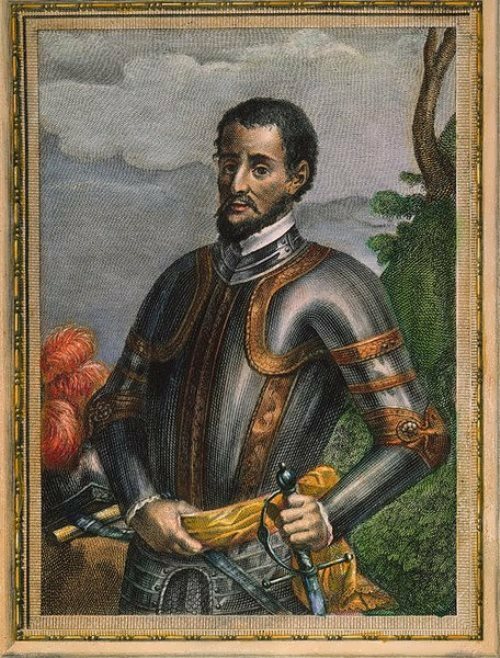 Hernando de Soto was a Spanish explorer and conquistador with the title of admiral who led the first conquest expedition in Europe to the north of Mexico, into the territory of the modern United States. 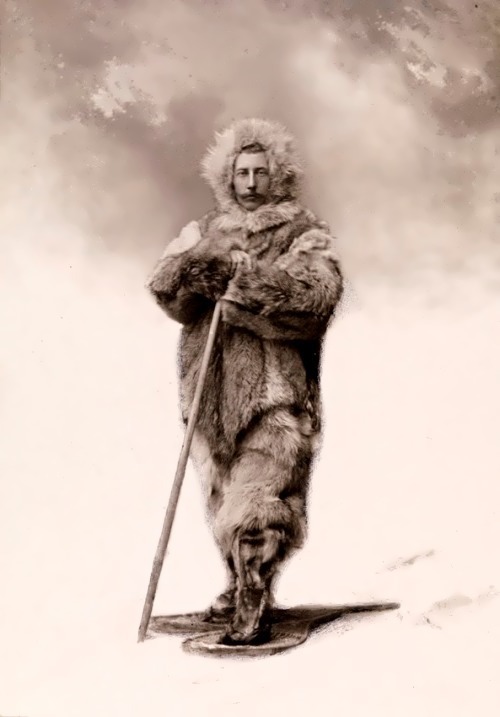 He was the first European to cross the Mississippi River and leave documentary evidence. Hernando de Soto was born in 1498 in Extremadura or Andalusia. Two cities – Badajoz and Barcarrota claim that he was born there. It is known that he spent his childhood in both places. In 1514 de Soto sailed to the New World together with the first governor of Panama, Pedrarias Davila. Later Hernando married his daughter. In Central America, he became known as an excellent rider, fighter and tactician, but was also known for his cruelty. In 1530, de Soto became the ruler of Leon in Nicaragua. He led an expedition to the coast of the Yucatan Peninsula in order to find a passage between the Atlantic and Pacific oceans to trade with the East, the richest market in the world. After the failure of the expedition and Davila’s death, he left his estate in Nicaragua. He hired vessels, and brought his men in Tumbes. Amelia Mary Earhart was an American aviator. She is world’s best-known woman pilot. She was the first woman to fly alone across the Atlantic Ocean. Amelia Mary Earhart Putnam was born on July 24, 1897 in Atchison, Kansas. Until she was 12 she lived with her wealthy maternal grandparents in Atcheson, Kansas. In 1909 Amelia and her younger sister, Muriel, went to Des Moines, Iowa to live with their parents. In 1914 her mother took the girl and moved to Chicago, where Amelia graduated from Hyde Park School the following year. Amelia was a volunteer nurse in a hospital for veterans in Toronto where she worked until 1918. 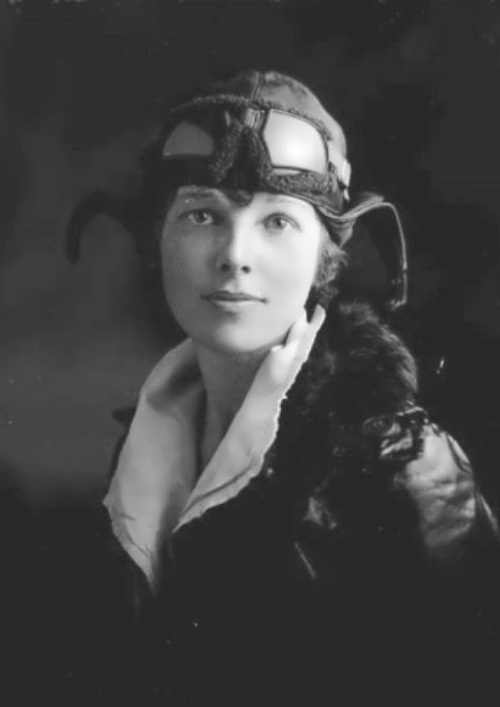 In the winter of 1920 Earhart saw her first air show and took her first airplane ride. She took lessons at Bert Kinner’s airfield. On December 15, 1921 she received her license from the National Aeronautics Association (NAA). 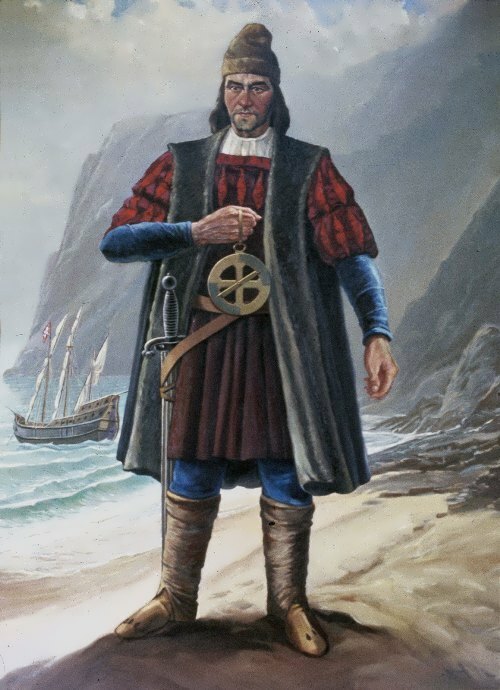 Bartolomeu Dias was a Portuguese explorer who discovered the Cape of Good Hope and opened the sea route to the Indian Ocean. He was the first European to round the South Africa. He was one of the most important European explorers before Christopher Columbus. Bartolomeu Dias de Novais (sometimes spelled Bartholomew Diaz) was born in about 1450 near Lisbon, Portugal. Very little is known about Dias’s early life. De Novais usually added to his name was first documented in 1571, when King Sebastian I appointed his grandson, Paulo Dias de Novais a governor of Angola. In his youth, Dias studied mathematics and astronomy at the University of Lisbon. In 1487 Bartolomeu Dias sailed from Portugal with orders from King John II to continue exploration of a landmark on the coast of South-West Africa. The King wanted Dias to discover a sea route to India and to seek information about the Christian empire of Abyssinia. 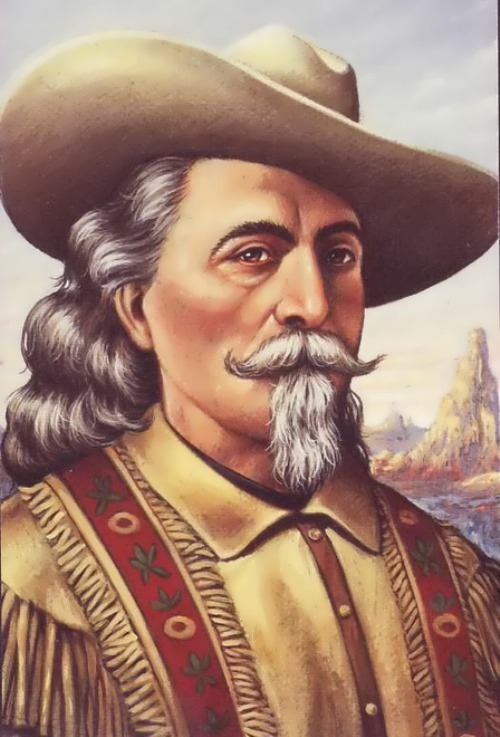 William Frederick Cody was better known as Buffalo Bill. Cody’s career was romanticized in story and song until he became a legend in his own time. He was a folk hero of the American West. He also produced a famous show about the Wild West. Cody was born on February 26, 1846 in Iowa. He grew up in Kansas. He was a strong, active boy who liked to hold western shows in a neighbor’s pasture, using an old black mare as his only animal. When Billy was ten he witnessed his father being stabbed in a fight by drunken men. In 1857, his dad died. The boy got a job herding cattle to support his mother. At the age of eleven Bill Cody killed his first Indian and became a hero in the eyes of older men. At the age of 14 he started working for the Pony Express, a service that delivered mail on horseback. In the 1860s Cody served in the American Civil War and scouted for the U.S. Army. As a scout he roamed around to gather information about the Native Americans. He got the nickname Buffalo Bill for shooting thousands of buffalo to feed railroad workers.